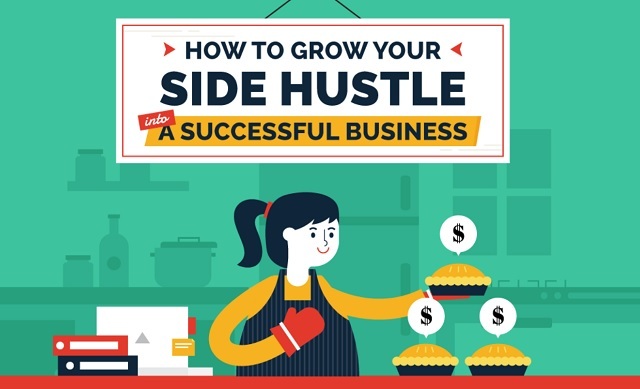 How to Grow Your Side Hustle into a Successful Business #infographic ~ Visualistan '+g+"
Do you pursue a passion to earn some extra cash? You're not alone. A new study shows that half of side hustlers make £5,000 extra per year. Here's how to go one better and turn your part-time gig into a full-time career.